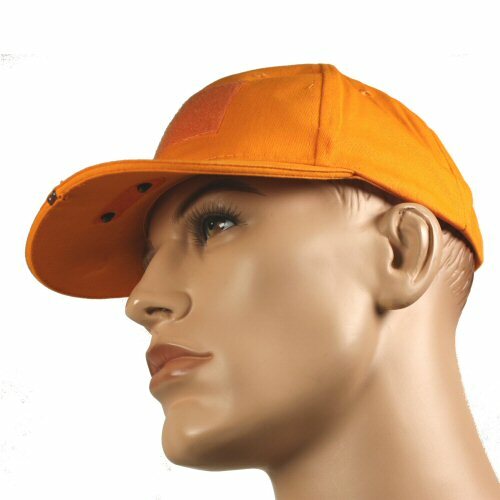 The high visibility Orange Bulle Tactical TR Beam LED Cap is a tactical cap with 4 LED diodes to offer the wearer night visibility and working capability in low light without having to swap headwear. The cap has a torchlight twin LED diode built into the front of the peak or bill, but also offers an under brim twin LED diode angled light to light up the area in front of the eyes when working or reading. The light settings can be switched via a discreet button located under the brim: once for torch, twice for angled light and three times for both torch and angled light. The front of the cap has a 75x50mm velcro patch to allow the wearer to hot-swap identification or nationality patches which can be essential when working in crisis areas or sensitive situations. 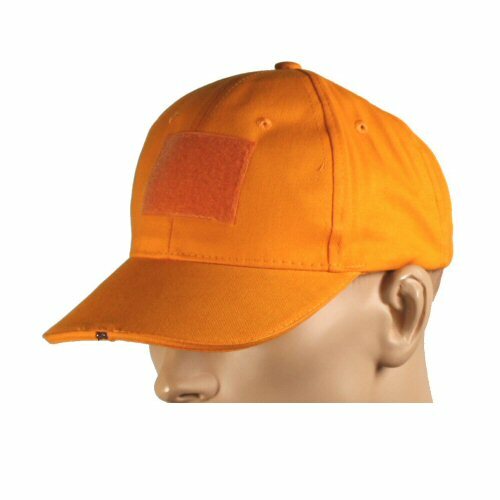 The 6 panel cap is made from soft 100% cotton drill and has a metallic button at the top, and ventilation holes in the panels. 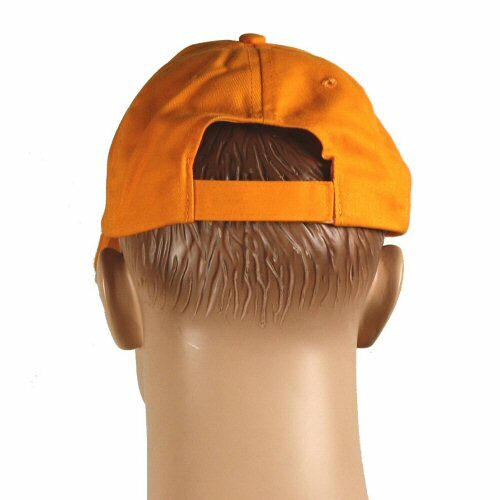 The rear of the cap is adjusted for size with velcro. A low profile battery pack with its own on-off switch, containing two CR2032 batteries is located towards the rear of the cap and concealed within the sweatband. This is retained in position with elastic. 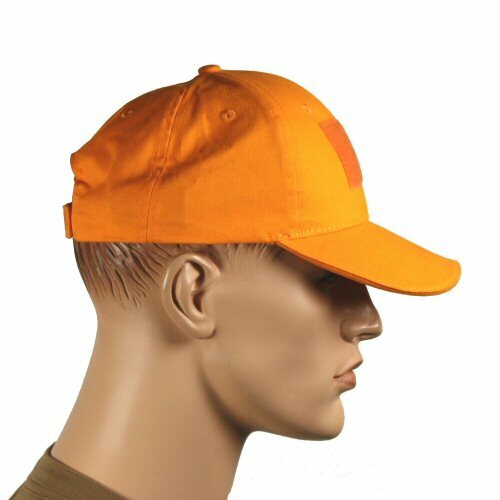 The cap offers a convenient day and low light functionality for mechanics, press and humanitarian work, fishing, camping, hiking, sailing, running and many other applications. Two CR2032 batteries included. Underside of brim showing twin LED diodes on front and twin angled LED diodes on the underside of the brim.